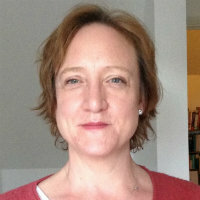 Dr Sarah Lonsdale has been a journalist for twenty five years, training on the Reading Chronicle before joining the Observer newspaper in 1990 as a general reporter. During her time on the Observer she specialised in stories concerning social justice. She is now freelance and has written for a wide variety of publications including: Observer, Financial Times, Evening Standard, Daily Telegraph, Sunday Telegraph, Daily Mail, Independent on Sunday, Country Homes and Interiors Magazine, Observer Food Monthly, National Geographic Green, TLS and the Sunday Times. She was a weekly columnist for the Sunday Telegraph 2006 - 2014 writing about environmental issues, particularly the threat of climate change. Dr Lonsdale holds a BA (Hons) and MA from the University of Cambridge in Modern and Medieval Languages (French and Italian). She completed her PhD, 'The Representation of Journalists and the Newspaper Press in British Literature 1900 - 1939' at the University of Kent in 2013. She holds a Post Graduate Certificate in Higher Education (PGCHE). She joined City University London in 2013 after six years as a lecturer at the University of Kent, teaching at the School of English and the Centre for Journalism there. She published her first book, The Journalist in British Fiction and Film: Guarding the Guardians from 1900 to the Present in 2016 (https://www.bloomsbury.com/uk/the-journalist-in-british-fiction-and-film-9781474220545/). Her second book, Rebel Women Between the Wars: Writers, Activists, Adventurers will be published by Manchester University Press in 2020. French (can read, write, speak, understand spoken and peer review) and Italian (can read, write, speak, understand spoken and peer review). - The coverage of environmental issues, particularly climate change. Dr Lonsdale currently supervises a PhD student on the coverage of climate change since the Copenhagen Summit. She welcomes enquiries from potential post graduate students in the areas of environmental journalism and journalism and literature. Lonsdale, S. (2016). The Journalist in British Fiction and Film Guarding the Guardians from 1900 to the Present. Bloomsbury Academic. ISBN 978-1-4742-2053-8. Lonsdale, S. (2018). 'Grub Street and Fleet Street: Literary and Review Journalism'. In Conboy, M. and Finkelstein, D. (Eds. ), History of Newspapers and Periodicals in Britain and Ireland 1650-2011 Volume Three 1900 - 2011 Edinburgh: Edinburgh University Press. Lonsdale, S. (2017). 'The Sheep and the Goats': Interwar Women Journalists, the Society of Women Journalists and the Woman Journalist. In Clay, C., DiCenzo, M., Green, B. and Hackney, F. (Eds. ), Edinburgh Companion to Women’s Print Media in Interwar Britain (1918-1939) (pp. 463–476). Edinburgh: Edinburgh University Press. Lonsdale, S. (2017). 'Imprisoned in a cage of print': Rose Macaulay, Journalism and Gender. In Macdonald, K. (Ed. ), Rose Macaulay, Gender and Modernity London: Routledge. Lonsdale, S. (2017). 'Arnold Bennett, Journalism and the Press Barons'. In Shapcott, J. (Ed. ), An Arnold Bennett Companion Volume II Leek: Churnet Valley Books. Lonsdale, S. (2012). Environmental Journalism. In Turner, B. and Orange, R. (Eds. ), Specialist Journalism (pp. 59–68). Abingdon: Routledge. ISBN 0-415-58284-9. Lonsdale, S. (2015). “Roast Seagull and other Quaint Bird Dishes”. Journalism Studies, 16(6), pp. 800–815. doi:10.1080/1461670x.2014.950474 . Lonsdale, S. (2015). Man of Letters, Literary Lady, Journalist or Reporter? Media History, 21(3), pp. 265–279. doi:10.1080/13688804.2014.991384 . Lonsdale, S. (2014). 'Visions of Modern Journalism in Rudyard Kipling's short story 'The Village that Voted the Earth was Flat'. Kipling Journal. Lonsdale, S. (2013). ‘The Emergence of the Press Baron as Literary Villain in English Letters 1900 – 1939’. Literature and History, 22(2), pp. 20–35. doi:10.7227/LH.22.2.2 . Lonsdale, S. (2012). ‘We Agreed that women were a nuisance in the office anyway: The portrayal of women journalists in early twentieth-century British fiction’. Journalism Studies, 14(4), pp. 461–475. doi:10.1080/1461670X.2012.718572 . Lonsdale, S. and Lonsdale, S. (2011). ‘A Golden Interlude: Journalists in Early Twentieth Century British Literature’. Parliamentary Affairs, 64(2), pp. 326–340. doi:10.1093/pa/gsq059 . Lonsdale, S. 'He Hath Sold His Heart to the Old Black Art': Kipling and his early Journalism. Kipling Journal, September/October 2016.